Slimming World blog: One mum's VERY honest weight loss journey! Slimming World blog: One mum’s VERY honest weight loss journey! In this Slimming World blog we follow mum of two and food director, Jen Bedloe, on her Slimming World journey. Jen Bedloe’s Slimming World blog documents her journey to getting back in her skinny jeans after two kids. But with a job surrounded by food, it wasn’t going to be easy! To reach her weight loss goal, Jen set herself a Slimming World challenge, to try out the diet and share her (very honest!) results. Week one – Getting started! I’ve always been a pear shape. I did learn to love my curves once, but then fast forward to two kids later and I’m a time-poor, working mum of two with a mum tum – a pear with a muffin *screams*! (They never feature that body shape in the fashion pages). I also don’t have much time to fit in exercise, so the pounds have naturally crept up on me. After my second baby, I successfully shed a stone on the 5:2 diet. I was on maternity leave, walking every day with the buggy and generally free to cook from scratch and eat healthily. I tried again and again to 5:2 it back in the office, with limited success. You see, on one day I can be sent three or more delicious new foods and drinks to try, or I’m in the test kitchen cooking up lovely recipes for Essentials. Food is EVERYWHERE and temptation is hard to resist when you’re hungry. I met up with my lovely (and slim) friend Helen for a pub Sunday lunch. She looked amazing. She’d been on Slimming World and was happily losing 1½lbs each week. She ordered a roast and breezily told me how many Syns she would put down – in Slimming World speak, it’s a way to keep track of more fattening foods and you’re allowed between 5-15 a day. I was sold. I borrowed the books, but after another week of failing to feel happy in my sunny day clothes (I hate all my clothes! ), I decided to go to ‘group’ to give it a proper go. Plus, I was safe in the knowledge that, GoodtoKnow, had plenty of delicious Slimming World recipes to choose from to keep me going! I’m not going to lie, I was a little nervous. Starting a new thing is always daunting. I arrived a little early, pretended to tie my shoelace for a bit, then braved it and walked up to the door. The first people I saw gave me huge beaming smiles and said, ‘is it your first week?’. Then I met Gemma, our Slimming World group leader, who took me to one side and made me a cuppa. She talked me through the diet and club values and left me feeling positive and ready to tackle the scales. The number was a little worse than I had feared, but this only made me feel better about being there. We discussed my target (I explained my weight in dress sizes – as for me it is all about wearing a pretty summer frock or jeans without a baggy top) and Gemma put down a goal weight. Looking round the room, I realised everyone is in the same boat, and everyone looked different. Some were young with kids or a baby buggy in tow, some older, some fit and trim and other women who were much larger… this is diet club after all. Going to ‘group’ will be hard, but I feel determined. I have so many lovely events to look forward to this year, including being a bridesmaid for my BF, that I don’t want to regret not dieting when I see the photos. I’m not going to tell you what the scales said, because really I don’t want to know what they said myself, but I will share my ups and downs each week (I know you’ll understand about the weight thing). I left week one with a spring in my step, new books to read and a PIN number to get stuck into the recipes and Syns online. This chilli con carne was ace on baked sweet potatoes. So yummy and full of flavour, a real diet bonus. TIP Add baked beans instead of kidney beans to make the sauce thicker and richer. Got me through a sticky snacking moment after a couple of glasses of wine. TIP No tahini, no oil – just chickpeas blitzed with lemon, 0% yogurt, ground cumin, ground coriander, smoked paprika and water. I had a couple of hours at home on Sunday and got a whole chicken, double batch of Slimming World spag bol sauce and carrot and cumin soup cooked up and ready to go. This will help me stay on track midweek *crosses fingers*. I tucked into a seriously delicious roast beef on Sunday – fat cut off, of course – and counted Syns for the gravy, oil for the veggies and roasties (oh, and a glass of red). I felt v happy! I’m a huge bowl of cereal or two pieces of toast kinda girl… Breakfast is going to be tough. I need to embrace eggs, apparently, but who’s got the time in the morning on the school run?! Next week, I’ll be trying some of these healthy breakfast recipes and for the weekend, this Slimming World eggs Benedict recipe. I now realise that wine is my weakness. It’s on my radar, so hoping I can cut back to stay on plan. Just because you can eat all the Sliming World pasta you want, doesn’t mean I should. Stuffed! I do like a drizzle of olive oil on a salad or in my cooking or butter on my toast. I will work out what I can live without and use my Syns for those times I simply can’t do without. I started craving it this week! That and olives. Typical brain of a dieter. I did feel pretty glum, as couldn’t really afford the Syns. I made supper early – a big bowl of pasta, topped with my cheese allowance, which happily cheered me up. I’ve been OK on the diet overall. There have been 2 days when alcohol has tipped the Syns…so I’m not sure what the scales will say. I do feel less bloated around the middle and I hope this translates to a loss. Week two – The weigh in! We sat around on the chairs and waited for everyone to finish weighing in… I hadn’t noticed last week that there were men at group. There were also two new members sitting in Slimming World Gemma’s corner. Gemma worked around the room chatting to each of us (a bit like Deal or No Deal) about how well we had done on the scales, she ‘bigged up’ how well others had done so far and I was shocked to hear how much people had been losing. There was a lot of clapping, by way of support. I was glad I stayed (you don’t have to). The common themes this week were cake and alcohol… people had had a lot of it. There was lots of recipe sharing (particularly for the lovely lady who’d had a disappointing week) and everyone got really animated about the Slimming World recipes they’d made. I realised the recipes are going to be a key part of the Slimming World plan and they really do help you feel happy. Throughout the week I use GoodtoKnow’s Slimming World recipes to plan my meals. We also chatted a lot about the best value places to buy fruit, veg and meat (these are all pretty much free foods on the Slimming World Extra Easy plan). Any tips on budgeting is brilliant for those of us feeding the five thousand. I found mummy blogger Anneliese Giggins’ 8 budgeting tips every mum should know really helpful. I ate a lot of meat in week one so I’ve been checking out new fishy options. I was sent some scallops to try from Sainsbury’s and cooked them up (with Fry light – my new fave) and served them with lots of griddled asparagus, lemon and a bit of home-made carrot soup as a sauce. A BLT, even with my skinny bread, is amazing for diet food. TIP Grill the tomatoes so they’re really juicy and you won’t need the mayo (or just a tiny squidge) and buy tasty lettuce like Romaine. Ok they’re not my favourite, but last week I felt really hungry so I tried the Leon poached egg pots on the way in to work. They’re so tasty it inspired me to make my own version at the weekend. TIP Mix some chopped tomatoes into baked beans to make them more tomatoey and add a good few splashes of Worcestshire sauce. Poach (or microwave) an egg and put in a ramekin, then top with grilled bacon and the heated saucey beans. Yum! Yes – you read that right. I’ve been eating curry. I got the Slimming World Fake Away book and there are so many delicious ones to try. Try this Slimming World chicken and potato curry for starters. Even if I don’t lose much weight this week *crosses fingers* I reckon I’m getting much more veg into my diet. My energy levels are also much better at the end of the day (which equals feeling much less ravenous and ratty when I get in from collecting the kids). I bought these after I lost weight in 2013, so I felt chuffed to be wearing them again this summer. A few more pounds and I can lose the baggy cardigan! I forgot to do mine. Will dig out the tape measure and scribble them in my book. Getting a tad bored of cottage cheese and celery sticks… need to try some of those heathy veg crisps using my new favourite staple Fry Light. Anyone got any other good snacks? Next week I will start working through these low-calorie snack ideas. It wasn’t fun, saying no to cake and burgers, all day at my son’s school fair at the weekend. Grrr. But, I packed up a Warburton’s thin with loads of ham, English mustard and lettuce so I wasn’t hungry. Next time there’s a BBQ I will take these amazing Slimming World burgers. I got a text from Slimming World Gemma on Friday eve (I think she remembered this was a tough diet time for me). It’s a great advantage of Slimming Word that you get the extra support. And it did give me a boost. I haven’t managed to fit in much exercise (on Slimming World there’s an incentive to up your activity levels). Although, I did walk to school with the kids and we went for a big walk in the woods. Losing even a few pounds has made me feel more up for the exercise. Looking at joining a local yoga class. Week three – The holiday! I wasn’t sure if I would stay for group this week, and took the view that if I’d had another massive loss I would go home (and eat something as a reward) and if it wasn’t so good I would stay. I stayed. I did lose 1 1/2 lbs, though, which is pretty good, particularly as I felt hungry this week (plus the alcohol ;-/). I just felt slightly disappointed not to lose more. I think you get a bit over excited when you hear about all the big losses – one woman reached her Slimming World target, in just 47 weeks she’d lost 4 stone! The other topic this week was the dreaded TOTM for us women. It does effect some women’s weight loss massively, and there’s actually a wee button Gemma can press to note it down during your weigh in (a bit like a sick note for PE). This might have kicked off the massive chat about chocolate and sweet treats. I might look for some low cal bakes to make for me and the kids this week. Again budgeting was still a hot topic and we shared a lot of savvy supermarket shopping tips… online shopping seems to be the best idea as you can avoid temptation and overall make a saving. One woman who worked on a checkout laughed at how a woman came in for a pack of chicken and left spending 200 quid, but forgot the chicken – sound familiar? I’ve got my holiday this week in Cornwall, so there’s no way I missing out on a proper pasty or fancy fish and chips. So no weigh in this Tuesday, but I will be using the online restaurant tool to check my Slimming World Syns. One bloke had been on an all-inclusive to the Caribbean and managed to put on 7lbs… he was back on it this week though, still smiling! So to keep myself in the game I will write everything down – good, bad or ugly. I don’t want to slip back into all my bad habits. This is the best news… if you don’t eat the batter and have mushy peas instead of the chips you can visit the chippy Syn free! Watched the last one on iplayer and got a little boost when Kayleigh said she was saving her Syns for a big fry up! Love her. Pasties are just too many syns! I do need to save a few for my holiday wine…cheers! Whoops thank you for pointing out these are not in fact a healthy extra, but 5 1/2 Syns! My lovely girl turned three on Sunday and we had a house full of family and friends. I baked a lot of yummy scones and chocolate cake, but didn’t crumble and eat any of it. I did make sure I didn’t put out any salt ‘n’ vinegar you-know-what’s so my only nibbles were a smoked salmon sarnie and a chipolata (and a touch of white wine). I kept on plan on the long car journey down to Cornwall by stocking up on sushi and edamame from Waitrose. It really filled me up and I forgot how much the kids like those edamame beans in the pods. Pricey, but worth it. Getting out in the fresh air this week has given me a healthy boost. I’ve noticed my nails and skin are glowing from all the fresh fruit and veg I’ve been tucking into, too. So I mentioned I wanted to wear summer frocks this year and that is exactly what I did this week. The healthy choices are paying off and just getting off those few pounds has made all the difference to how confident I feel. I even wore my cozzie in the pool! I’ve discovered the best recipes for me on Slimming World are strongly spiced. You can vary the heat if you’re serving the same food to the kids, but my two love tomatoey paprika flavours like this Slimming World recipe for Mexican Chilli Chicken Cups (below). New in my shopping basket this week are Syn-free Mug Shot Soups for a handy fill-a-hole snack. That and I finally worked out that I could eat these yummy 0% fruity Activia yogurts. Not a social life low, but it should count as a diet low as I well and truly ditched it! Me and the DH had a delicious three-course dinner at Watergate Bay starting with this whipped butter with sea salt, slathered over my illegal crusty rye sourdough – saying no to good bread and butter is sooo much harder for me than cake! The kids were safely tucked up in the kids zone for the evening and I enjoyed every mouthful! I didn’t really stick to the plan and I stopped jotting down the Syns this week. I will get back on track this week – my goal is to lose 2lbs. *fingers crossed*. My idea was to swap red wine for gin & slim. I’m getting stuck in a jacket spud rut… I need to switch up my trolley for some noodles and cous cous to make a tasty base for salad lunches. I’m going to try this Slimming World recipe for Minted Lamb Cous Cous Salad next week. Week five – Fun and parties! It’s been a fun week, seeing family and friends and I’ve been feeling good about wearing less cover-all clothes. It sounds silly, but I’m going to complain about losing 1.5lbs this week, I know it’s better than putting it on or not losing anything at all, but at Slimming World it’s all about the big losers, people who regularly shed 4-5lbs a week. I’m pretty relaxed on a couple of days a week and have got into a bit of a groove. I would really like to get a big boost again, but I’m not sure this week will be it. Too many fun things in the calendar! Now I’ve started losing regularly – 9.5lbs so far!! – I need to up the exercise and start toning up for summer. I said I was going to join a yoga class, but I didn’t actually get round to it. I’ve heard about a good boot camp where I live and now the weather is better and we have lighter nights there’s no excuse! Will report back – lycra, me…well possibly! My friend Helen reached target this week. She got a lovely shiny sticker and target badge. She was over moon and now her focus is staying within 3lbs of that agreed weight (you don’t have to pay to weigh in when you stay in this range, so it’s a good incentive to keep an eye on things.) I’m still about stone off my target, so I need to keep focused. Mine and Hollie’s fave thing about the Slimming World plan is ‘being able to enjoy yourself and still lose weight’. Go us! Putting on my VE Day party clothes was so much more fun without the extra weight on my tummy. Shirt dress, heels and victory rolls in my hair. When my little girl told me I looked pretty it made my heart melt – all the saying no to cake and biccies was suddenly worth it. To switch up the amount of canned tomatoes I’ve been using, I tried making this delish chicken stew with blitzed fresh tomatoes and basil. I topped it with my latest addiction, capers and added a few sliced pitted olives. It’s great with pasta! TIP Add a squeeze of lemon or balsamic vinegar if your tomatoes are a little tart. I also poached the chicken in stock for extra succulence and flavour to compensate for no added oil. This is my go-to dish when I’ve been a bit naughty over the weekend. I now call it my Slimming World noodles. TIP Leftover salmon or chicken tastes brilliant with soy and ginger with lots of fresh coriander and chilli to boost the flavour – and for no Syns! Cook in stock or for 2 Syns use a pack of miso soup. After drinking bargain champagne at the VE day fundraiser party I must say I woke up feeling pretty rubbish on the Sunday. Hangover breakfasts of bacon and eggs and filling up on stodgy pasta is OK on Slimming World, but I made rice pud for the family with clotted cream and tortured myself with it all day!! The girls came round to mine this time. We read Never Far From Nowhere, by Andrea Levy – it had mixed reviews…but we ate yummy cherry tomatoes stuffed with crab and smoked salmon and dill pate from the new Slimming World Little Book of Summer. The main course of lamb and salads without the olive oil would have been pretty good, but I think it was the crème brûlée that did me in for the Syns! Week six – Oops, be careful what you complain about! So, I knew I wouldn’t necessarily get a big loss this week, but just 1/2 lbs off… Oops, be careful what you complain about! That 1.5lbs now looks pretty brilliant! Basically, what I think happened was the partying (or should I say brûlée) caught up with me. But as everyone at Slimming World says, it’s a loss however big or small. The good news for my diet this week is tomatoes – I’ve been cooking with lots of them – small ones, juicy ones, fat ones, green ones! At work it can be so tricky to stick to a diet because of the food we get sent in to try or what we’ve been making in the test kitchen. You can’t exactly wax on about a recipe you haven’t tried yourself. So I was really pleased to be given a tomato feature to test. I love ’em. The other good news is all the healthy recipes we’ve been working on for Essentials and GoodtoKnow. My Slimming World knowledge has really helped me to see how to cut the cals and not the flavour. Here’s a link to where you can find more healthy family meal ideas. TIP: Rub steak with paprika and chilli powder to give a savoury crust, spray with Fry Light and cook on a griddle for a couple of mins each side. I also magic’d Quark into a steak sauce with Dijon mustard, tarragon, and plenty of seasoning and fresh lemon juice. Get down there… I stocked up on their brilliant new range of Slimming World ready meals! Brilliant when its just you. I haven’t been able to stay to group the last couple of weeks, basically because I’ve had to get home for the kids. But how sweet that Gemma noticed and sent me this lovely text. Smelling the BBQ blazing all day was tough for my resolve, but luckily there were plenty of fresh strawberries on sale to keep me out of the hefty Syn zone. I’m not being funny, but when my other half starts a diet all it means is loads of text messages asking me what he can eat – ALL DAY! Good for him, but it’s annoying he gets to eat up to 20 Syns! Week seven – Another 1lb bites the dust! I only lost a measly 0.5lbs last week, so this week I planned in a good Slimming World grocery haul to sort out my fridge and cupboards with lots of 0 Syn treats. It’s one of the best bits about Slimming World – there are so many foods that you can enjoy guilt-free that you could just pile up the basket endlessly. My top buys this week were some frozen hake fillets to make skinny fish and chips and soya beans to put in my soupy noodles. This week in group there were so many great recipes being shared. When you go to group you get to hear first hand what recipes other members have been trying and loving. It’s barbecue season so there have been lots of yummy ideas for 0 Syn ‘slaws’ and even chicken marinated in sticky diet Fanta! I’m going to have to try that one! We ordered the BM dresses for my friend Claire’s wedding. I ordered mine in 2 sizes (to be on the safe side), but I ended up fitting in the smaller size – hurrah! Now that’s what I call a feel-good moment. I’ve been eating a lot of meat so this veggie salad was a tasty change. I roasted cauli with cumin and chilli powder (my fave thing) then tossed with a mixed grain pouch, fresh cucumber and tomatoes. I finished it off with a generous dollop of Syn-free cottage cheese. TIP Sumac is a delicious seasoning made from sumac berries. They use it a lot in the Middle East to finish salads. It really perked up the cottage cheese – try it! I was forced into a little body magic this week because I was without the car. The kids benefitted from walking to school, too, as it gave us all chance to wake up in the fresh air. I do love this part of the job, so I will try and be careful and just try the one bite of each. Well I shouldn’t complain, as you know where that gets you, but next week there are more Christmas shows and my chocolate shoot for Ess mag… to be honest, I will be crossing my fingers not to not put on weight! I guess there are always going to be times where it is difficult to diet. I’ve missed my Tuesday Slimming World group for the last couple of weeks, due to some childcare logistics. You can take kids to ‘Group’, and other mums do, but I guess I used it as a bit of an excuse not to go and weigh-in. Helen suggested I weighed at a different meeting, partly so I didn’t have to pay for a missed week and partly so I didn’t go too far off plan. I was in favour of denial and trying to have a super duper week to compensate… but, I was persuaded to go to a Saturday meeting. It’s funny, going to a new group with new people, I felt like a newbie again! The result wasn’t great… and I was disappointed to see a maintain ‘M’ on the scales, only followed by a small loss the week after. I felt a bit glum for a while, but thinking about it fairly pre-Slimming World this would have been a prime time to pile on a good few extra lbs, just in time for the holidays. So I don’t feel too disheartened. I haven’t actually put on anything since I started. I’ve also missed a weigh in due to the first instalment of our summer hols. I’m back to Tuesday weigh in from next week, so I will let you know how I get on. A wedding in Germany (drinking beer!!) and a summer holiday in the Yorkshire Dales (massive pub portions for walkers and cyclists) are going to be interesting! A real weekend luxury on Slimming World is a no-fry fry up. Pile up your plate and enjoy each mouthful knowing you don’t have to count any of it as Syns – hurrah! Berries are really great value at the mo, so I tried these yummy meringues with fresh strawberries and raspberries – delish! Being away from the office has meant more food treats (ice creammmmm!) but I have done loads of walking, too. Including a trek up into the hills in Frieburg in Germany and another uphill trek (carrying Romilly piggy-back style) up the Dales way in Kettlewell. Look at this enormous Gorgonzola at Sainsbury’s press show – you know I’m a savoury Syn-ner, so this is a nightmare for my (lack of) willpower. Not sure this counted as my HE!! I’m so nearly at one stone – I just need to keep at it. Annoyed I have reached a bit of a plateau. I shouldn’t really whoop with glee, not losing weight on a diet, but… I was so relieved to see the word ‘maintain’ written in my book again this week. I felt really on high for ages afterwards. As you know, I’ve been away on holiday so not to put on any weight was a huge relief! All that body magic (walking up hills) must have paid off. I’m finding the Slimming World plan is becoming much easier to stick to now because I’ve really changed my diet. I never thought I could replace my love of bread, but I’m winning! My breakfasts are now under control and I love tucking into a massive salad or jacket potato. The fact that you can also eat pasta and rice on Extra Easy is a real bonus. I’ve been loving jackets lately. I made this healthy slaw and grilled bacon and tomato combo this week. I used some Hellman’s very light mayonnaise mixed with plenty of lemon juice to stop it tasting too lean! Romilly and I headed down to a festival this weekend in our local town. We kept it healthy with noodles and Thai-style skewers from one of the food stalls. But I did choose a delicious scoop of blackcurrant ice cream as my Syn-ful treat for the day. The weather turned really cold again so I dug out this yummy carrot and cumin soup from the freezer. I upped the speed foods even more by topping with chopped veg and a lovely spoonful of 0% Greek yogurt. It was so fresh and tasty! Giles and I went to an open air play with friends at the weekend. I took a V healthy picnic including this tasty potato salad. The reason it’s on the lows column is because our friends opened up their not-so-healthy picnic full of Kettle Chips, full-fat dips and chocolate! Grrrr! The timing couldn’t have been better, either, just ahead of the hen trip to Barcelona. I celebrated with a good slab of choccy cake and a trip to the shops to upgrade my beach attire to a bikini. I can’t tell you how liberated I felt. I got an extra boost of confidence from hanging out with nine other girlies and a good dose of sun and laughter is just what you need to get over any body issues. Although, I must confess I didn’t exactly diet whilst I was away… If I put on next week, so be it – I had a ball! As we all know, we all have a bikini body we just need to put one on and hey presto! Girls, be confident. Even a little loss makes you feel a million dollars. I love this Slimming World Paella. It’s not quite as rich as the ones you get in Spain, but it hits the spot! It’s also great with chicken or pork tenderloin. Tee hee, remember how I was going on about being so over bread… well, that Spanish tomato bread – oops! Spain has too much delicious food to choose from, including this amazing Burrata and giant tomato at Bestial on the Saturday night. We tucked into so many crisps and dips on our hen terrace at the apartment – such a weakness of mine particularly when I’ve been drinking! I’ve been missing in Slimming World action for the last few weeks. After Barcelona we travelled to France for my family summer holiday part II, followed by a weekend in Helsinki for my brother’s wedding. I have to confess the diet has gone out of the window ;-/. So, the damage: I put on 2lbs on the hen do; in France (self-catering, but swimming and playing tennis) I gained 1lb; then, the wedding weekend added another 1lb. That’s a sneaky 4lbs in total! I felt pretty fed up about the 1lb last week. I knew I’d blown it on holiday with all that delicious French cheese and wine, but I’d hoped to maintain after our trip to Helsinki. I don’t have much wriggle room in my bridesmaid dress and now Claire’s wedding is next weekend! I will have to try really hard to stick on plan this week to compensate. So far, so good… apart from a killer hangover and another wedding(!). I am feeling more positive. Back at school a lot of the mums, who hadn’t seen me for a while, noticed I’d lost weight. It gave me a much needed push in the right direction. I even talked one mum into joining Slimming World because it’s SO easy – haha – I had better but my money where my mouth at this week’s weigh-in! Here’s a pic of me and my sister, Kathryn. Losing some weight has given me extra confidence to wear strong colours and I’m not sure dresses come much brighter than this hot pink number. I love Thai flavours and I made a speedy rice stir fry with some fresh flavours, mixed with a pack of savoury rice and some store-cupboard ingredients such as fish sauce and lemongrass paste. It’s great when you want a filling meal in a hurry and there’s no need to dial in. I gave my steak burger a Slimming World makeover with a zingy Asian slaw, corn and roasted courgette and aubergine. I wasn’t sure on the Syn value of the burger, so I added 8 to be safe. Check out this Syn free recipe instead if you haven’t got many to play with. Oh my, I was so ill after a charity quiz at one of our locals. The only cure was fat coke and lots of salt vinegar crisps – not exactly on plan! OK, so I blame this chocolate cafe, Fazer, handily positioned across from my hotel in Helsinki, for the extra lb! It was my last weigh-in before wearing the bridesmaid dress and …I lost 3lbs! *fist-bump* I’m sure I lost more during the week, too, as my dress fitted me lovely on Claire’s big day. I was a bit worried, as you know. Claire has also been on Slimming World for the wedding and looked amazing! Hopefully, she’ll be indulging now on her honeymoon and enjoying a few treats. This week I’m toying with the idea of not getting weighed until Saturday. The damage done by the wedding might lead to a disappointing weigh day and I’m still on a high from the fab day and party. I’ve generally found it easy to get back into the Slimming World plan after each big event or holiday. Monday was a slow day (still recovering) but by Tuesday I got myself back down to the shops and stocked up on all the healthy Slimming World foods. In the basket is week are pink grapefruits, plums and Muller lights to make some tasty breakfast oats, smoked trout, mackerel and sliced meats for salads and some chicken and spinach to make a slimming world curry. Here goes. I tried Kellogg’s new protein cereal this week. It makes a change from my usual bran flakes. Don’t forget to pile on the fruit to fill you up and to up your speed foods. In Waitrose this week cooked quails eggs were reduced so I grabbed a pack for Syn free snacking. They’re really tasty dipped in the celery salt that comes in the pack, or add them to salads. I made this curry from the Slimming World website. It was really creamy tasting from the yogurt, but I did find the spices a little bitter for my taste. Next time I might add a little sweetness to balance the flavour. I’ve won a months pass to the local fitness club, so I’m off to boot camp on Thursday! I’ll do a selfie to prove it! I had a few naughty days due to the wedding (and hangover), but I found the plan really easy to follow and I’m so pleased I got on with it. I’ve got 11lbs to go to reach target, and my next milestone will be my high school reunion in November! Yikes! I went to the Saturday Slimming World group this week, which was a bit of a cheat, because I knew I’d have put on if I weighed on Tuesday. Anyway, I got away with a maintain. I might have to do the same next week, too, to give myself a chance to loose something. Whilst I was waiting to get on the scales I noticed one of the women from this group is the Surrey Slimming World Woman of the Year. What an achievement to be voted let alone win and such an inspiration to new and existing members. Excitingly, I’ve been invited my the press office to try the new range of Slimming World foods in London. I can’t wait to report back on what’s good. I’m also waiting delivery on some new skinny sausages from Heck. I’ll cook them up at the weekend and let you know how they taste. I made this yummy Caesar salad last weekend and we ate it outside in the sun- bliss! Instead of using oil mixed with the egg yolk I made the dressing with water and natural yogurt. Adding some garlic and chives and a squeeze of lemon really perked up the flavour. I also swapped Syn-ful croutons for crispy new potatoes. I made a big batch of slow cooker ragu and the kids lapped it up. It’s a great feeling knowing all the family can eat the same healthy food. We’re trying this pie at the weekend – I can’t believe it’s free on Extra Easy. It turns out you have to count apple purée in your Syns. Thank you to Megan for letting me know. Unlike homemade soups, fruit that’s puréed and smoothies have to be counted as they don’t fill you up for the amount of calories you consume. After a bit of a spurge at the wedding I’ve found this week tough going. I’ve started slipping at kids meal times, too, partly because Romilly is leaving delicious things on her plate like cheese on toast – aargh! Week 15 – Exciting news… Mum went to Iceland! As you know, my incentive for weight loss was my friend Claire’s wedding. Now that it’s been and gone I’m finding it hard to keep motivated all the way through the week. I’m good some days… but, I’m not writing down the Syns (or free foods) and then I start to lose track. I also haven’t been to ‘Group’ for the last two weeks *slaps wrist*. I think I actually needed a little break. I’ve not gone OFF plan completely and I’m still eating plenty of healthy lean protein, fruit and veg; it’s just the little treats here and there are creeping up and I need to get back on the scales. Take this weekend, for example, I was racing around taking the kids to activities and I ended up grabbing a cheese sandwich and a bag of crisps for lunch. If I’d factored it into my week I would have been OK, but I sort of went off piste. Next was a pizza for supper with the rugby and Sunday lunch was pretty boozy and included a rather nice slice of Bakewell tart with cream! So, this week two good things have happened to help me get back on it. First, our Slimming World group leader Gemma has been up to head office and is sending us all a boost via email. And secondly, and very excitingly, Iceland have just launched their new range of Slimming World ready meals! I went up to the press launch on Tuesday ahead of the store launch and tried them. WOW such tasty meals! Including gorgeous soups that taste just like homemade, an amazing curry and a superb chilli chicken (that actually tasted of chilli). I was really impressed. I will be back at Group on Saturday to see how well I’ve done. Good or bad I’m going to have to get back on plan to reach that target. I work from home so a trip up to London to try all the new Slimming World products was a lovely day out of my ‘office’. Also, a press launch where all the food is ‘free’ is pretty rare! I’m getting an online Iceland order booked in to stock up on the gorgeous sauces and meals. This tasty Slimming World cod provencal cheered up a miserable Monday. DH loves the meals I cook on Slimming World. I often just sling a little butter through his veg or oil on his pasta so he doesn’t feel too lean. Have you tried Heck chicken sausages? At 1/2 Syn each they’re a brilliant way to keep your dinners really low. They have two new flavours coming out soon. The Smoky Paprika Chicken flavour (340g/10 sausages per pack, £2.89 from Tesco and Asda) were full of flavour and tasty cold, too. Try them in pasta sauce. TIP: I cooked mine on the tray with spray oil, but next time I’ll put them on a sheet on nonstick baking paper, as they did stick a little (great if you like a crunch, though!). Watching the Bake Off is terrible when you’re on plan… all the family wants is homemade cakes. I had to stash this plum blondie in the freezer to stop me eating it! When you want to be good, it’s a real downer when you can’t seem to satisfy your hunger with the food you’ve got left in the house. It’s often when it’s the end of the week or you just feel really hungry. I guess this is what batch cooking is all about so you have something tasty on standby. Week 16 and 17 – How can you diet when you’re ill? How can you diet when you’re ill? I emailed Gemma and asked for a holiday week, as I was too poorly to brave the outside world and getting weighed was just a step TOO far. I’d also paid up for my missing sessions last week and realised afterwards that I’d have been better rejoining! This missing weeks really racks up the costs. I’m feeling quite good about this week. Maybe because now I’m over the cold I’ve felt like eating healthily. Let see how I get on. Not too much to worry about food wise this week, but there may be booze ahead… oh, and leftover chocolate cake! One for the weekend is this delish beef stew. I’m going to cook mine in the slow cooker. Its great bunging all the ingredients in the pot in the morning, then hey presto, you get back later and lunch is served! It’s coming into season now so fill you basket with clementines, oranges and grapefruits for snacking. Also grab lemon and limes and use the zest and juice to perk up chicken, soups, stews and salads. Did you know? Citrus helps you to absorb the iron in food. Getting poorly and living on Lemsips, toast and sweeties isn’t going to help the weight loss… and it’s definitely not getting any speed foods on my plate. I was and keep feeling really positive about getting back on plan. It just didn’t work out and so onwards and upwards and see what happens next week. My school mum friend has been going great guns and has already lost a stone. She weighs in online because she can’t commit to a regular group. It’s worth looking at if you don’t feel you need the group support to start your weight-loss journey. I tested a rather gooey, rich chocolate cake this week covered with sumptuous chocolate curls. Well you would, wouldn’t you!! Week 18 and 19 – Finally, I’m a loser! It’s been a great couple of weeks on my Slimming World diet plan and I can’t tell you how happy I feel writing this update telling you that I actually LOST SOME WEIGHT. After all my worry about chocolate cake and I got a 2lb loss! I’ve been busy in the test kitchen working on January and February recipes, so I wasn’t sure I could keep it up (and off) with a home surrounded with delicious food. But, apart from cooking with more oil than I would normally use in a Slimming World recipe, all the food was cooked from scratch and packed with healthy veg. And it’s not just at home that I’ve been eating well – I enjoyed a delicious Diwali curry night hosted by Sainsbury’s and Dhruv Baker. I felt so full after eating all the delicious dishes, but it didn’t stop me losing! It really goes to show that if you’re eating on plan most of the week you can afford to indulge in some treats and you don’t have to feel like you’re missing out. We’ve had a chilled half-term and I’ve managed to get out and about in the fresh air. We’ve eaten some lovely food, including some spooky halloween bakes and I really wasn’t expecting to get another loss. But… I turned up on Saturday and almost shrieked with delight to see another 2lbs off on the scales and my club 10 (although I haven’t a clue what that actually is). I rewarded myself on Saturday night with lots of crusty bread to mop up my juicy sausage supper and a huge plate of cheese and biscuits to finish it off with! TOTAL LOSS – 1 stone 4 lbs TARGET WEIGHT – 7LBS TO GO! Now autumn is officially here I’m back to enjoying our family roasts. This week we went to the pub and those few Syns for roasties and gravy were well worth it! Here’s an amazing Slimming World roast leg of lamb to try at home. Here’s one of the delicious Diwali dishes cooked up by Dhruv Baker and Sainsbury’s… if you reduce the oil and butter curry it’s actually not that bad and much healthier than the take-away. You’ve got to love a seasonal Muller Light yogurt. I’ve switched to these Apple Strudel and Toffee flavours which are sweet enough to stop me reaching for the chocolate. Week 20 – Our tree went up, the twinkly lights switched on and that was it! In the meantime, I will try and stick to my new healthier ways, so I don’t get too much uplift on those scales in January. I’m no saint and I know I won’t deny myself lots of the delicious food on offer, but I’ve learned to eat well around those naughtier party times, which really does help to limit the damage. See you in the new year for the BIG WEIGH IN. It’s January, it’s really cold and social media is full of virtuous people posting about their skinny detox diets. But, if you’re on Slimming World plan or getting back to group, be smug in the knowledge that you’re going to feel a lot less hungry than them! I know it’s really hard to get back on track after the excesses of Christmas, but eating healthily and cooking from scratch (most of the time) really does work. My January mission is to try and combine my Slimming World plan with some of the body blitzing detox trends I’m seeing online. I want to feel good this January and I’m desperate not to catch the horrible colds going around. Have you tried a spiralizer? If you don’t have one of the fancy machines just use a julienne peeler or knife and get slicing that veg. I toss a mixture of raw courgette, carrot, parsnip and shredded cabbage with fresh lime, chilli, coriander and fish sauce for a quick Thai-style slaw or simply blanch carrot and courgette strands and use to pad out spaghetti. This mushroom ragu with courgetti is the perfect recipe for beginners! I bought a NutriBullet with my supermarket points (result!) and so far so good. I’ve juiced mainly veg based concoctions to keep the Syns low and I only add the same amount of fruit I would eat in one sitting. This one is made with spinach, lettuce, celery, kiwi, 1/2 banana or avocado, green grapes and almond milk. Pack your plate with as many colourful foods as possible to maximise the nutrients you’re eating. I had this beetroot and kale salad at a local restaurant and it gave me inspiration for my Sunday roast side. I roasted some beetroot, celeriac and red onion with trusty spray oil and sprinkle over some paprika and lemon zest, then tossed through some raw kale at the end. If you’re on plan and eating mainly Syn-free meals you’ve pretty much quit sugar already without even thinking about it. Sugar packed foods are high in Syns for a reason! Look at natural sugar alternatives such as agave and date nectar to sweeten yogurt or porridge and stock up on other sweet fixes such as sugar free jellies and dark chocolate. I’m pretty wedded to my builders’ brew, but I’ve found that I quite like a green tea with fresh mint in the afternoon to give me a lift. It’s a drink packed with antioxidants and is thought to help fight off all sorts of conditions from cancer to diabetes. Interestingly it’s also supposed to give you fresher breath! I know we can eat plenty of meat, fish and eggs on Slimming World plan, but some of the vegan food trends are really catching on with me. I’ve been using more and more almond milk and, let’s face it, making recipes that aren’t loaded with cheese, butter and cream is definitely going to help keep those Syns low. It’s great for your diet and pocket to reduce the amount of meat we eat during the week, so why not try vegan a day or two each week?  There are loads of vegan recipes on GoodtoKnow to keep it interesting. I do love a bit of cauli roasted or lightly steamed and I’m pretty into the latest trend of using it as a pizza base. As you know, pizza is a big fat NO on Slimming World plan so this recipe for cauliflower pizza gives you a handy vehicle for your Healthy Extra A cheese allowance. I’m weighing in at group on Saturday, so I’ll let you know how I get on! Week 22 – Anyone else finding it hard to give up the wine with dinner habit? According to my Slimming World book I haven’t been on the scales since 27th November 2015 (!!). SO, you can imagine how happy I was when I saw I’d only put on a measly 0.5lbs – and I was wearing jeans. Whoop, whoop! If you haven’t made it back to Slimming World group yet this year, I really recommend just getting on with it. I genuinely thought I’d be 0.6lbs up. I dragged myself out of bed for the 8.30am Saturday group (much better to eat after you’ve weighed), and bare-faced it into group. If you haven’t tried a slimming group before it really is so friendly. Everyone has a smile and is up for a chat. I met a young midwife this week who’s on Slimming World to keep her shift work diet on track. It was really busy with new and old dieters and I’m up for the challenge this week. Will let you know how I get on. I’ve been cooking up extra of our family meals, like this Tomato chicken bake and wedges, so I’ve always got something in the freezer for when I can’t be bothered. Stock up on foil containers, so you can store and reheat your meals easily. One of the best parts of the Slimming World plan is being able to fill up on jacket potatoes and I’ve been trying the new range of baked beans from Heinz. Filling up on 0 Syn food is why you don’t end up feeling hungry. Add veg to your pasta sauces for extra speed foods. This spinach and cherry tomato sauce was delicious with tagliatelle and a little grated Parmesan. Is anyone else finding it hard to give up the wine with dinner habit? I’ll have to start freezing leftover wine instead of leaving the bottle on the side. GROAN. I’ve been back in the test kitchen making gluten free bread this week. I couldn’t resist the warm buttery rolls. But, as they say, a little bit of what you fancy is the healthy way to live (fingers crossed for the scales). Week 23 – All that juicing and clean eating has clearly brought out my toxins! I’m feeling a bit frazzled this week. My DH has been working away and I’ve been looking after the kids solo. It’s not great for any diet when you feel tired. I start to slip up a little more often with the naughty snacks. I also managed to get a stye on my eye. Grim. All that juicing and clean eating has clearly brought out my toxins! On the up-side, this week I’ve been chatting about breakfast routine and sleep with Darcey Bussell and Linda Papadopoulos at a Quaker oats event. Talk about celeb women who are SO down-to-earth. I couldn’t believe they’re both mums of teenagers. We’ve been invited to try Darcey’s new DD mix workout, which looks like loads of fun and great for the old body magic. The best news is that I managed to lose a lovely 1lb at this week’s weigh in. Hurrah! I’m testing some 5:2 recipes this week, which by the way are fab for us on Slimming World, so hopefully with all the healthy veg and lean protein in the house I can keep on track this week and get another 1lb OFF! My delicious Quaker oats porridge was made skinny with almond milk and loaded with fruit. Try adding plenty of speed foods to your breakfast for a tick-all-the-boxes start to the day. Porridge is a great option on Slimming World and because it’s wholegrain you’re choosing a breakfast with stellar health benefits. I’m dreaming of sunnier days, so this carrot, ginger and apple number put a little zing in my morning routine. Tip: I like to add plenty of ginger for a kick of heat and to pep up my digestion. The antidote to eating too many heavy carbs are these slightly weird and wonderful zero noodles. I tried them in the 5:2 testing I’ve been doing this week and they taste good with strong Asian flavours like this leftover beef salad. Breakfast love are these delicious Slimming World Pork Sausages with no Syns. I served mine with poached eggs and tomatoes. Notice my un-runny yolks. I really don’t do runny eggs (apart from on photo-shoots!) How do you like your eggs? We went for a walk first, but the calamari just spoke to me. Oh, and a lovely pint of shandy. Just the ticket whilst watching the kids play with sticks pretending to be Darth Vader and Luke Skywalker. Another 1lb off, followed by a sneaky 0.5lbs on. I was quite surprised that I’d lost the first 1lb, which goes to show a few extra Syns here and there will catch up with you eventually. Although, saying that it was just 0.5lb. I can’t say I’ve been that motivated this week. Sometimes a gain motivates you to lose and other times I find it makes me go a bit the other way. I’ve had too many opportunities to indulge this week, so we’ll see how it goes. Since I started the blog a few of my pals have joined Slimming World and I’m thrilled to see their results. (I’ve become a bit of a Slimming World ‘pusher’ in the school playground.) It’s worth it though, as the difference you see in people is amazing. I’m not just talking about their physical appearance. It’s a confidence that you only see when people feel good about themselves. If you haven’t got much time this speedy sauce is a life saver. I simmered passata with a little stock and a tsp of frozen Italian herb mix. Check out the fresh wholewheat pasta. I can’t say I’d use it all the time, but it does cook in just a few minutes and ticks the wholegrain box. Check out this delish Chicken pappadelle dish. I made it to get me in the mood for Rome. When the weather turns cold there’s only one thing for it… soup. This ramen was made with brown miso, noodles, aubergine, soya beans and radish. But add any veg you need to use up. I made steaks for supper. Mine was served with sautéed mushrooms with balsamic and chives, but lucky old Giles got butter on his. Still, I enjoyed the steak and ate plenty of Slimming World oven chips to make up the lack of sauce. I don’t normally indulge in dessert, but Giles came back from the shop with a sticky toffee pudding and custard. So many Syns. It was good, though. He only went out to grab some milk! Next week I’ll try these Raspberry meringue puds. We’ve been reminded in ‘group’ this week that in life there are always going to be occasions to celebrate. And celebrations mean – let’s face it – opportunities to eat and drink. We’ve just had Mothering Sunday, Easter is almost here and then you have family birthdays, get togethers with friends or even just a coffee and a catch up. So it got me thinking about my own diet goals and my weight loss journey so far. I feel like I’ve been really up and down, but in actual fact I’m 1 stone 7lbs lighter than last May. Hurrah! I did put on weight after the last blog (2.5lbs of it!) – I told you I wasn’t feeling very motivated! But… I weighed at group the very next week and I got rid of exactly 2.5 lbs, which I followed up with another 1.5 lbs loss, just in time for my birthday. I’m not entirely sure how this week will pan out, I did ‘celebrate’ Mother’s Day and my birthday at the weekend, I just have to keep that personal goal in sight and stick to my healthy choices. I bought myself a countdown bundle of weeks, which has helped me feel more focused and definitely more motivated. I’ll let you know how I get on. My DS, Jack and I have both had birthdays in the last couple of weeks – it did mean a bit of cake had to be made and eaten, but again I managed to lose weight despite those extras. Don’t feel guilty about eating treats, instead write it down. It doesn’t feel half as bad when you look at your Syns for the week, rather than that one off-day. I swapped my usual rice risotto recipe for this Slimming World friendly version. Cook a pack of Waitrose Italian 5 grains for 12 minutes in chicken stock, add some chopped green beans and allow to cook through, then stir through roasted squash and a pinch of chilli flakes. I added a few drained sun-dried tomatoes and Parmesan to make it extra tasty for a couple of Syns. I had to make a bibimbap, a Korean rice and egg dish, for a shoot recently. I had to make my own kimchee to go with it and I’ve been totally addicted ever since. When you want to eat something quick and filling it’s ideal. Grate or spiralize carrots, courgettes and slice any other veg you fancy eating raw. Warm up a bowl of cooked brown rice and fry and egg in Frylight to serve in the middle. The red sauce you can see in the pic is a chilli paste called gochugang, but you can use any spicy chilli sauce to add an extra kick. Also, if you haven’t got kimchee swap for pickled red cabbage or saukraut instead. When I’m in a rush to get the kids out the door in the morning the first thing to go is my time to eat breakfast. This smoothie bowl is a new favourite for whipping up when I get back in. I bung plenty of leafy green veg into my Nutribullet, then add a small amount of frozen berries, melon and either a small apple or orange and blitz with water. Pour into a bowl with sliced banana and a sprinkling of good-for-you seeds. You do have to Syn the extra seeds if you’re not counting as a HE and fruit once blitzed will add a Syn value, but it tastes SO good and is really filling. I love the skinny soups from Glorious, but I was really shocked to see their Syn value on the Slimming World website. The good news is that the SkinnyLicious Sicilian Tomato, Fragrant Thai Carrot and Mexican Tomato and Pepper flavours now count as a Healthy Extra B choice. They’re flavour-packed and make a quick and easy lunch or snack.